Cheerful exchanges between CGM’s Hsin-Jung Church and Hongxin Nursing Home. CGM’s Hsin-Jung Church visits Hongxing Nursing Home for a day. Volunteers feed with detailed care. According to statistics, there are about 750, 000 (disabled) elderly in Taiwan; this number will increase to 820, 000 people in 2018. The world is also facing an aging phenomenon. Japan’s “Share Kanazawa District” proposed an alternative retirement concept that completely subverts the traditional concept of senior nursing homes. This concept brings young people, students, children, and the elderly into cohabitation so that the seniors can, through immersion in a youthful environment, prolong their youthful vitality. Christian Gospel Mission (CGM) is concerned with societal issues and follows foreign trends. 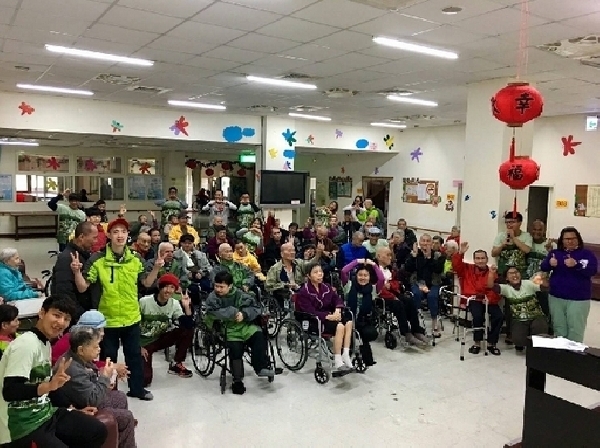 Thus, CGM’s Hsin-Jung Church also formed a youth volunteer group, who visited the Hongxin Nursing Home and brought about infinite joy as they interacted with the elderly with their youthful energy. Pastor Chin-De Chou of CGM’s Hsin-Jung Church expressed, “After visiting a couple of these care homes, we discovered that some of the seniors have lost their life's purpose after retirement, which results in a weakened body. So, the goal of our volunteer group visitations is not to care for their physical bodies, but rather, to create hope in their lives instead. Founder and president of Christian Gospel Mission (CGM), Pastor Jung Myung Seok, often mentions, “People live with their thoughts.” Although Pastor Jung is already over seventy years of age, he works and exercises on a daily basis. This is all because he has the mentality and thoughts forged by God. 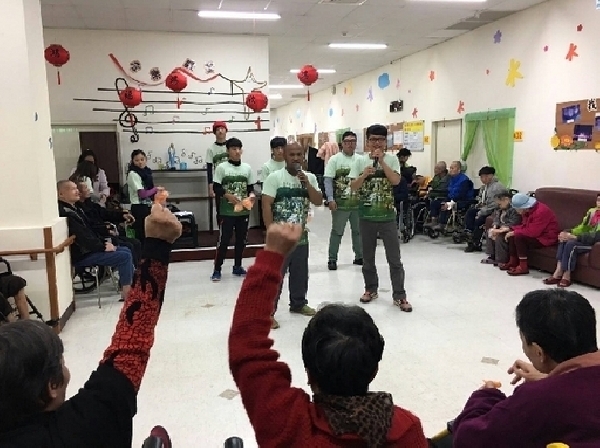 Similarly, CGM’s volunteers also hope to bring more holistic inspirations and interactions of the heart and thoughts to the seniors at Hongxin Nursing Home. 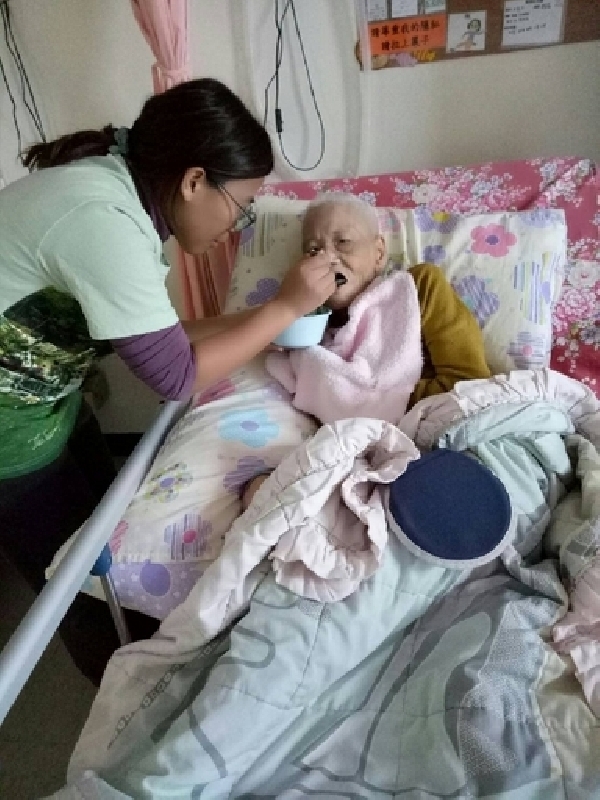 In CGM Hsin-Jung Church’s “Hongxin Nursing Home One-Day Visitation Itinerary,” the volunteers accompanied the elderly with patience, gentleness, and detailed care. Even though no words were exchanged and there was only quiet accompaniment, the elderly were already very happy. The volunteers deeply realized that the seemingly simple, but in reality very difficult, small act of “feeding” could be the most intimate contact with the elderly. Upholding the CGM’s tenets of understanding others and respecting the elderly, we hold yearly events to encourage young people to enter long-term institutions or community care groups to serve the elderly. Through youth volunteer accompaniment and care, we hope to ignite society’s light of hope and create the warm feeling of family for the elderly in long-term care institutions.